The Siemens SITRANS TH100 is a head transmitter that features a stiff design that is suggested for economic usage. 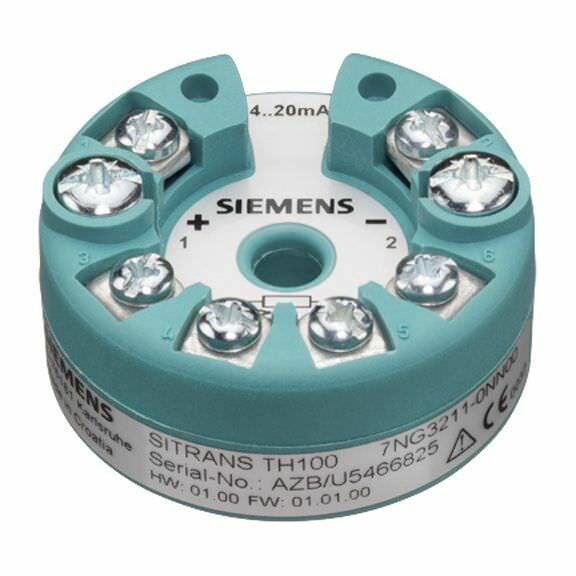 With galvanic insulation non essential to the SITRANS TH100 it offers the user a cheap plant operation yet providing quality measurements. The product also provides a convenient installation with the transmitter-modem and SIPROM T. The configuration tool can also be downloaded for free. Furthermore, because of the arrival of TH100, it will be a suggested substitute for the out-dated analogue PT100 transmitters.